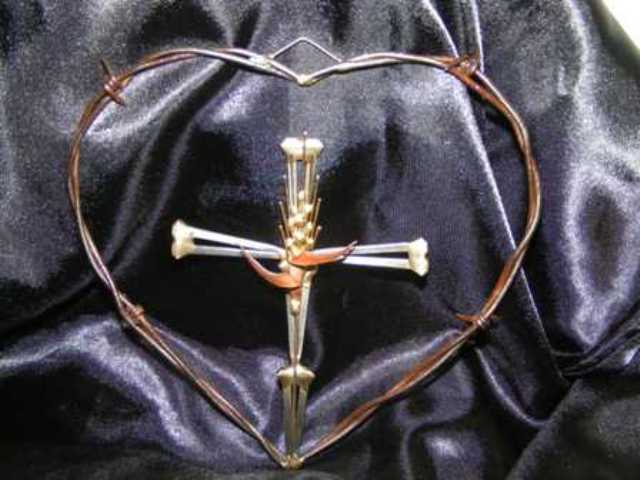 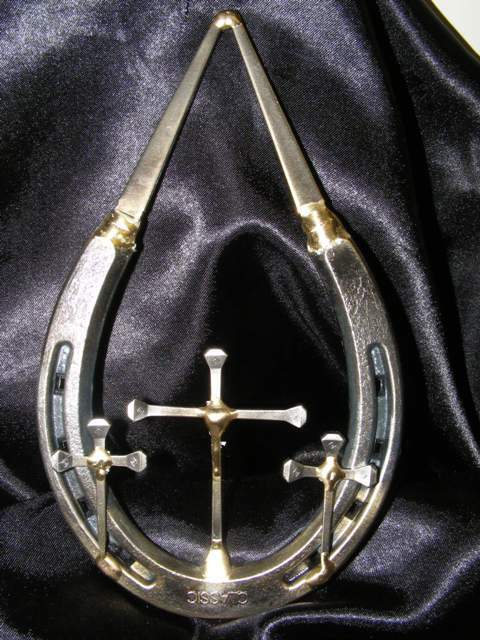 Handcrafted from real horseshoes and horseshoe nails. 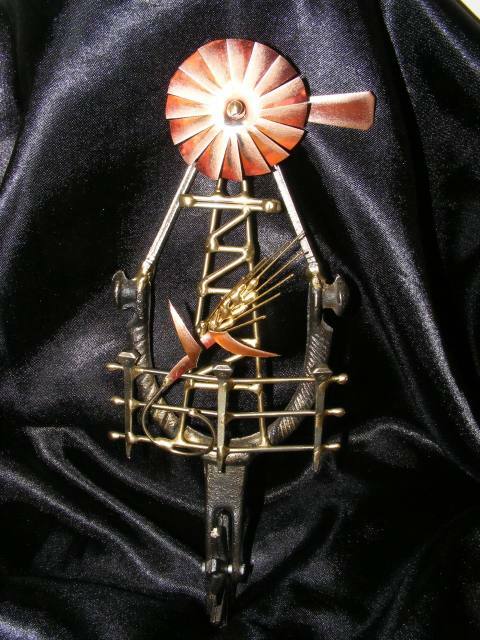 Please note that we use real spurs for the spur/windmill combination. 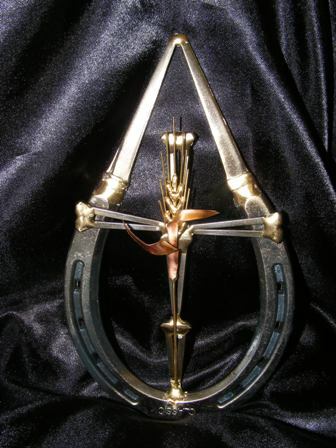 The spur itself may vary slightly from the one pictured....windmill and wheat design does not change.